The second trailer of the movie ‘Colossal’ filmed in Korea is attracting attention. The movie is a monstrous action fantasy that take place when Hathaway is connected with an unidentified monster in the middle of Seoul one day. 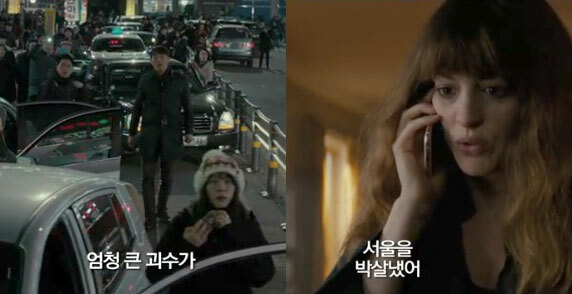 In the Trailer, an unidentified robot appeared in the middle of Seoul and raised the curiosity about that. It is said that Korean cities appearing in movies are Yeoido in Seoul and Bucheon in Gyeonggido. The new material and Anne Hathaway’s exhilarating performances will raise the expectation of ‘Colossal’ will be released on the 20th.